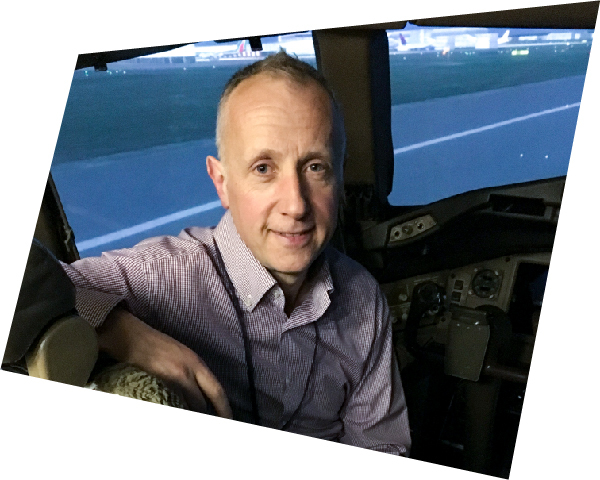 George Arbuckle is the Course Leader for the BSc (Hons) Aviation Management with Commercial Pilot Licence programme and is a Senior Lecturer in Aviation Management, at the University of West London, a Top 50 university in the UK. George graduated from Cranfield University in 1997 with an MSc in Air Transport Management and has worked in a variety of aviation management roles with both easyJet and Monarch Airlines, in both operational and commercial management. Since 2010, George has been teaching in the UK university sector at both undergraduate and postgraduate levels in a variety of aviation fields, including commercial analysis, airport and airline management and strategic management. He has been co-ordinating Commercial Pilot Training with Aviation Management degree programmes since 2013, working with a wide range of airlines and ATOs and is passionate that future pilots are not just taught the appropriate flying skills, but are equipped with a broad knowledge of the aviation industry as whole.